Protocols are the glue that hold the internet together. Remember making phones out of paper cups as a kid? Two cups at each end of a taut string? The cup serves both as a mouth-piece and receiver. This simple system needs a protocol in place to a avoid confusion among speakers. So one is always speaking when the other is listening. Protocols are the glue of the internet. Take SMTP for example. It stands for Simple Mail Transfer Protocol. It is the internet standard for e-mail. To put it simply, when computers exchange e-mail messages over the internet, SMTP is what keeps communications in good order. Think about it. You can browse the internet on a desktop or laptop or mobile. Whether your Operating System is Windows or iOS or Linux. Whether your browser is Internet Explorer or Google Chrome or Mozilla Firefox. What gives? The HTML protocol ensures that content is served on web-pages in a consistent manner across browsers. HTML stands for HyperText Markup Language. It is a system of tags (meta-data) that is used to organize and structure content served up as web-page in a browser. HTTP is a request-response protocol that ensures that messages requesting and serving resources like HTML pages are properly formatted. Protocols rule the internet. And therein lies the rub. The internet made it possible to move content among computers as web-pages. That was Web 1.0. When it came to sharing information, web-pages do not scale. What if Bloomberg stock ticker serves minute-by-minute updates every minute, and I want to analyze trends for my stock picks over the last 5 years? The New York Times runs a weekly column called Corner Office where they post highlights from conversations upon leadership and management. What if I want a whole year of the C-Suite’s wisdom? 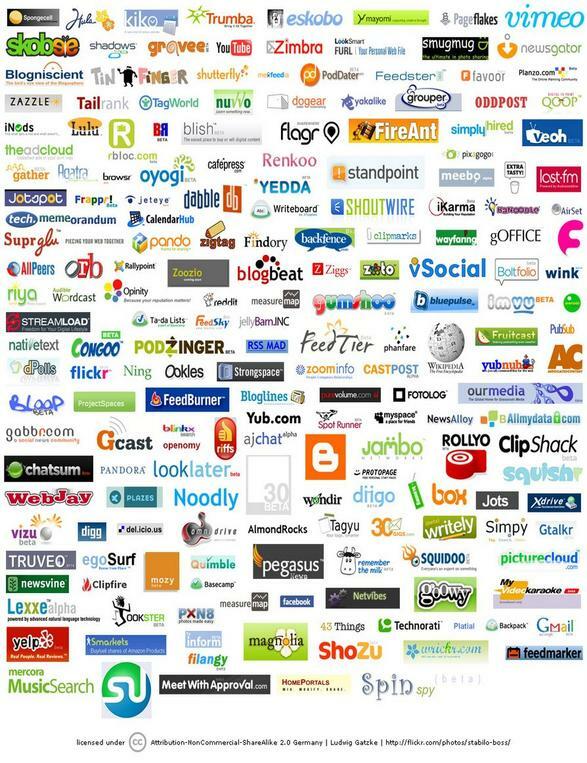 I have borrowed this iconic image that illustrates what the Web 2.0 community refers to as a “mash-up”. The internet of the Web 2.0 era takes inter-operability to a whole new level. Web 2.0 is goes beyond the web-site of Web 1.0 to the web-service of Web 2.0, where protocols like RESTful and SOAP enable one to not only scrape information served in web-pages, but shovel information from databases anywhere in cartfuls, should one choose to do that. Aside from accessing vast data-stores distributed across the WWW at the finger-tips, there are more practical benefits. Take this blog for example. It is a “mash-up” of my slideshows on Slideshare.net, my videos on YouTube.com, my pictures on Picasa web. Web 2.0 saves me from creating “islands of content”, with the attendant evils of redundant content and duplicated efforts. And to do all of this without writing a single line of code. What is that worth to you?